St. Augustine said that when you sing, you pray twice. St. Martin’s is a wonderful place to experience the truth of this statement – we sing, and pray joyfully! The unique acoustics of our worship space enhance the beauty of congregational singing and encourage energetic participation by all! Our excellent choir, together with our talented organists and fine Casavant pipe organ, all contribute to an experience of music that speaks to our hearts and minds. Our music also reaches out to the community. St. Martin’s has become a popular venue for concerts and visiting choirs and a recording space of choice for many musicians. Our annual Advent carol service in December is a well-loved tradition that raises money for community services organizations and awareness of the true meaning of preparing for Christmas. Our organ is considered to be one of the finest examples of a Casavant Freres two manual organ – that means it has two keyboards – in the country. It has been in continuous use since it was installed in 1922. A major renovation was done in 1980, and a further upgrade in 2012 rebuilt the console and upgraded the mechanical action with a computerized system. Combined with the acoustics of the building, the sound produced is of extremely high quality. The organ is a sensitive instrument and is affected by changes in temperature – whether from the atmosphere or from the heating system. This means it requires frequent tunings, especially after seasonal changes. All tunings are completed by Casavant Freres personnel. The organ also needs to be protected from excessive dust, especially from any construction or repairs that might be taking place in the church. 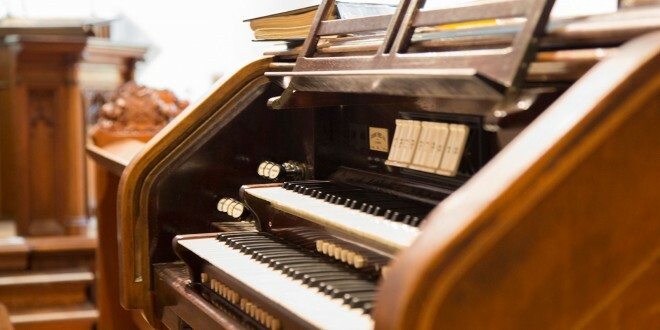 Our organist Jack Hattey is a dedicated protector of this valuable instrument. The choir of St. Martin’s was founded in December 1890 and has been a mainstay of the parish ever since. Our choir is a dedicated group of volunteers interested in providing beautiful music to enhance the worship services. Member come from many backgrounds and ages, but they have one common interest – music. 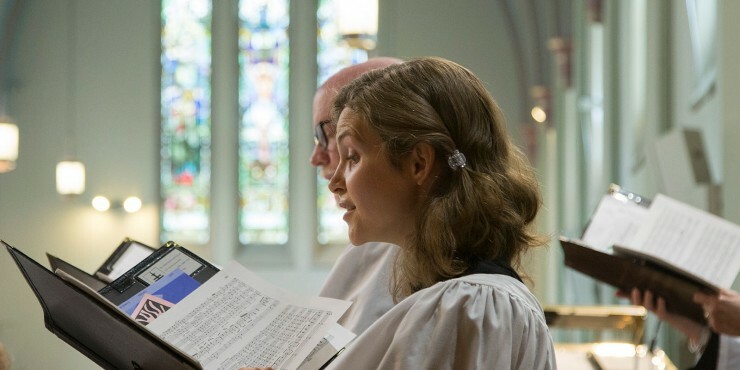 Under the able direction of Jack Hattey, the choir undertakes a variety of music, from Gregorian chant and early sacred composers through the classics to modern genres – and everything in between. The choir season runs from September to June, with summer covered by whoever is in town. Rehearsals are Thursday evenings from 8:00-9:30 and Sunday mornings at 10:15. Anyone interested in participating should contact Jack Hattey. You may also hear the beat of the Missa Luba with drum and gourd accompaniment. Our motets are chosen to suit the readings of the day and the particular celebration of the service. The range of composers and style of composition is eclectic, from ancient to modern – Palestrina, de Vittoria, Thomas Tallis through Rachmaninoff, Brahms and Purcell, into the more modern Benjamin Britten, Heally Willan, Bob Chilcott and a favourite, Canada’s own Stephanie Martin. Come, hear and share the enjoyment. With creativity added to this blend of familiar and new, we become more open and receptive to a full and rich experience of worship. We welcome you to join us!